An All-America Selections winner for 1997, Siam Queen is more tender and intensely flavored than Sweet Basil. Its highly aromatic, licorice-basil aroma is more stable at high and extended cooking temperatures than other basils. Commonly used in Thai cooking as well as Italian recipes. Basil, Siam Queen is rated 3.9 out of 5 by 7. Rated 5 out of 5 by Marjorie132 from PERFECT!! Highly aromatic, prolific, and delicious! The leaves seem delicate compared to its Western counter parts, but the taste and aroma fill the senses. Takes my Asian dishes to the next level! Will definitely be planting more next year! Rated 5 out of 5 by Will Rosenthal from Robust and delicious Just an amazingly robust plant. Every seed germinated whether sprouted indoors in peat or planting mix or planted directly outdoors. I had zero problems with diseases, fungi, or pests...even when near other plants with pest problems. It didn't even seem to care what it was planted in--it thrived in potting mix without any additional fertilizer and maxed out a small pot without developing at root problems. I had a couple seedlings that were inadvertently tossed into the compost pile and they grew into huge, beautiful bushes without any care: only natural rainfall and heavily dappled sunlight. Like most basils, cuttings rooted easily in plain water and thrived when transplanted. I'm on a 4th generation clone that I'm growing under CFL for the winter and the aroma is intoxicating. They smell wonderful even through flowering and the taste (when young) was perfect in a number of Thai and Thai-inspired dishes. My one complaint is that it goes to flower very easily and it can be quite a chore pinching buds after it has branched multiple times. I just ended up letting most of them go full bloom and enjoyed the lovely purple leaves and flowers. Rated 5 out of 5 by patrlynch from Excellent germination with a heating pad Virtually 100% germination in a few days with a heating pad. Very tasty, with exactly the licorice-like flavor essential for Thai stir-fries. Rated 1 out of 5 by momlovestoplant from poor germination I was excited to plant this but was disappointed when only three seeds germinate. Rated 1 out of 5 by FormerBurpeeFan from Didn't even sprout Planted over 16 seeds in a pot. None came up. A different pack of Thai basil seeds from a different company in an identical pot treated the same spouted multiple seeds. Rated 5 out of 5 by jason11179 from Queen of Basil Great plant, easy to grow, great to look at, fantastic to eat. Perfect for container growing! Rated 5 out of 5 by LakeErieGarden from Super intense, nice looking plant, very tasty. 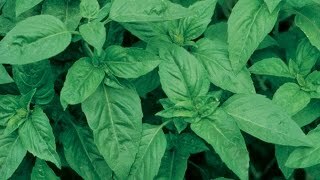 Tried this in a container as I do a lot of herbs in containers and this I think is the perfect basil for containers. Why? It is so intense, you do not need a lot. A few leaves will flavor a large pot of soup. It has 5 times the anise flavor that regular basil does and that may be conservative. This is good stuff that looks very nice in a container. 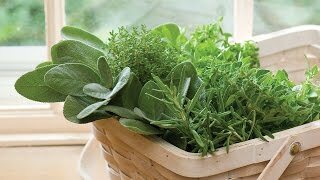 I will absolutely save a container for this next year and as I said, one container provides a lot of flavor!